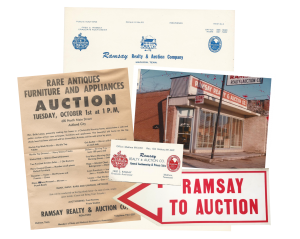 Fred Ramsay established Ramsay Realty & Auction in the late 1940s. This real estate company has always been located in Madison, Tennessee and has served Nashville and the surrounding counties for decades. Wife Daisye was also an affiliate broker and a vital part of the auction division of the company. Both were active in church and charitable organizations that benefited surrounding communities. As the company grew through its buying. selling, and leasing opportunities, the auction division flourished. 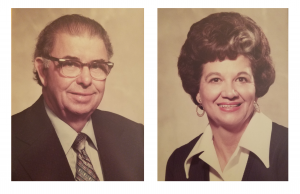 Fred and Daisye worked as a team and even involved their three daughters. Rebecca Ramsay, the middle daughter, continues the family tradition of community involvement and providing quality real estate services. 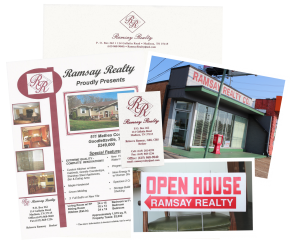 Although Ramsay Realty no longer operates an auction division, we can act as your agent and work with reputable auction companies.